The draw: The Goring Hotel in Belgravia received the top award for London tea destinations after gaining a near perfect score from the Tea Guild judges. Guests can enjoy an elegant afternoon tea by a roaring fire in the hotel’s lounge. In more clement weather, The Goring boasts a delightful garden, offering one of the few al fresco afternoon teas in London. The draw: The Ritz is a quintessential English institution. Served in the beautiful Palm Court beneath a spectacular glazed skylight, choose from 16 varieties of tea, finely cut sandwiches, freshly baked scones with jam and clotted cream and a range of delicate pastries. The draw: The Balmoral Hotel has been one of Edinburgh’s most famous landmarks for more than 100 years. 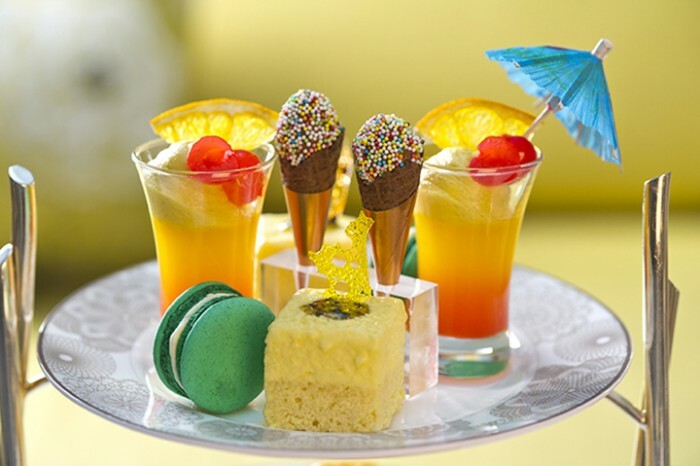 Afternoon tea is served in the Palm Court. The hotel was awarded ‘The Tea Guild special Award of Excellence 2013’ in recognition of its outstanding quality and consistently high standards in Afternoon Tea service. The draw: Afternoon tea at The Savoy is served in The Thames Foyer. Its stunning glass dome floods this sociable spot with natural light and a pianist serenades guests from a winter garden gazebo. Guests can choose from a range of teas served with finger sandwiches, homemade scones with clotted cream and jam and a mouth-watering selection of seasonal cakes and pastries. The draw: Afternoon tea at Pennyhill Park is served in the Ascot Bar or on the pretty terraces in glorious sunshine. From gluten to dairy free, the hotel will accommodate any specific requests for your afternoon tea. The five-star Lowry Hotel is situated on the banks of the River Irwell close to the city centre. The hotel was awarded ‘The Tea Guild Special Award of Excellence 2013’ in recognition of its outstanding quality and consistently high standards in Afternoon Tea service.